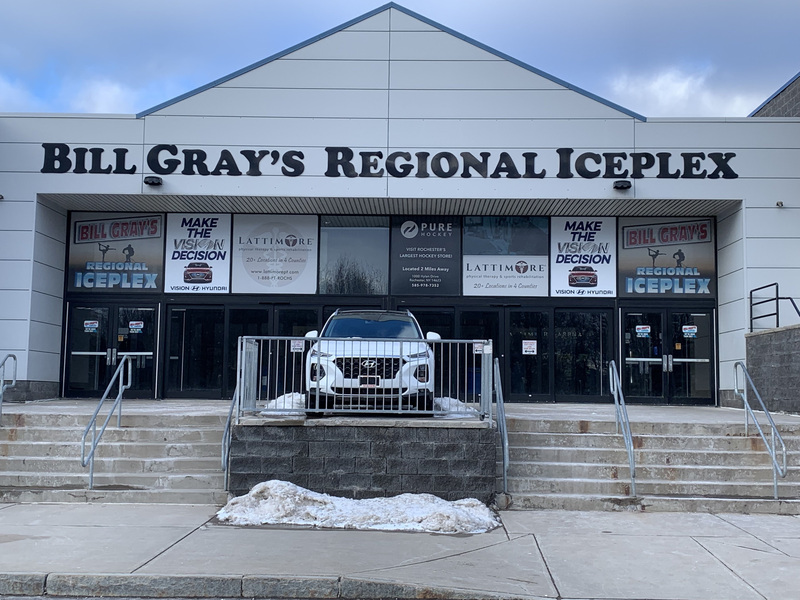 Registration for the 2019-2020 season is live! The cost to register for the upcoming season is $100 until April 22. On April 23, the cost will increase to $130. 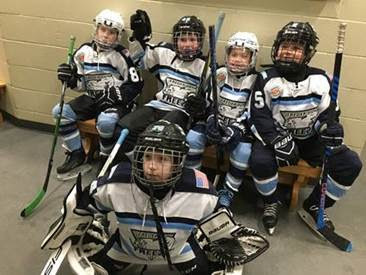 Registration for Mite aged players (8U) is free. To register, click here. Evaluations will be held on April 29, April 30, May 1 and May 2. These times are subject to change, and any updates will be posted on the Freeze website. This weekend the U16 UA team went 2-2 in some tough games at the Pittsburgh Presidential Cup Tournament. They will travel to Richmond this weekend to compete in playoffs. Their first-round game is against the Nova Ice Dogs and when they win, they will play either Montgomery or Hagerstown. 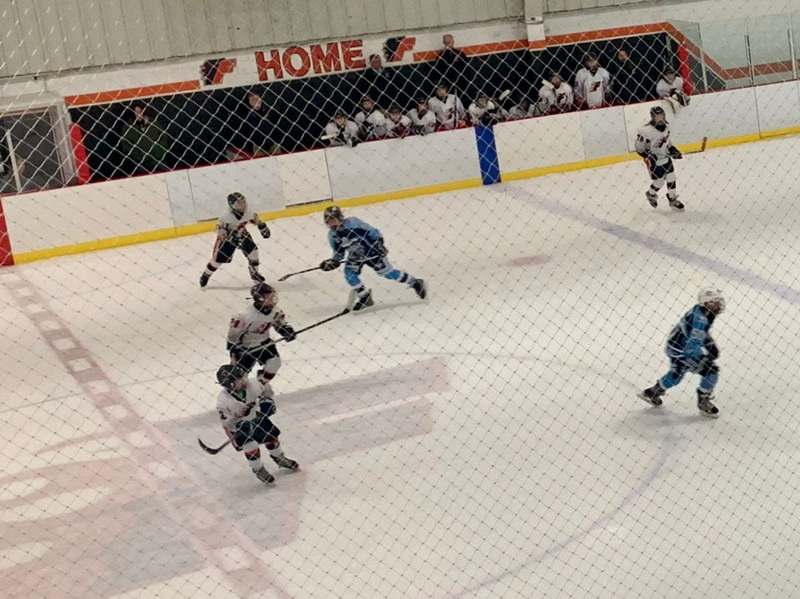 The Bantam UA team had a great 6-5 win over Montgomery in Pittsburgh. They finished the weekend 2-2. 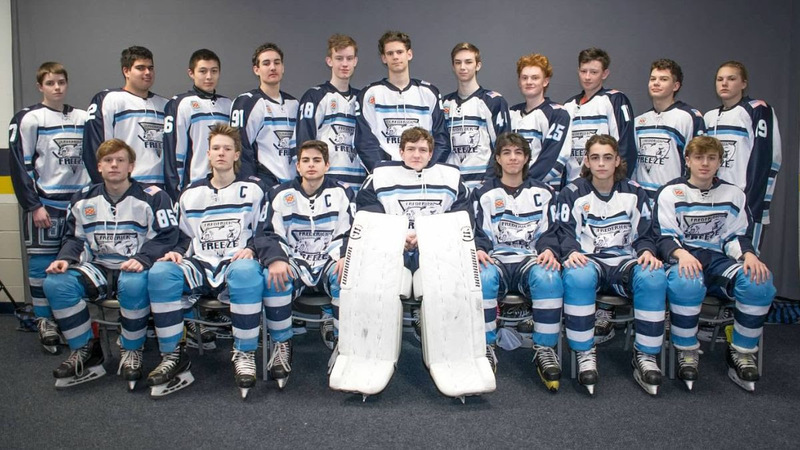 The Bantam B team traveled to Raleigh, NC for the Big Bear Presidents Tournament. They finished 4-0, winning the championship hardware and a banner. 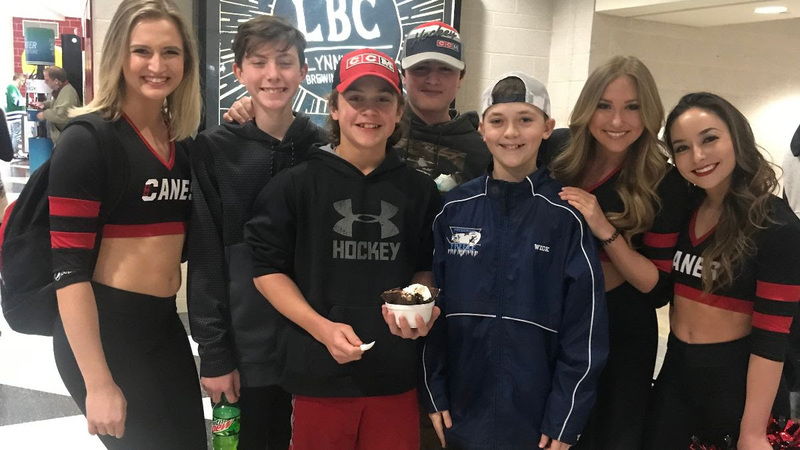 Our team attended the Hurricanes VS Edmonton Oilers game, and were able to see Conner McDavid. 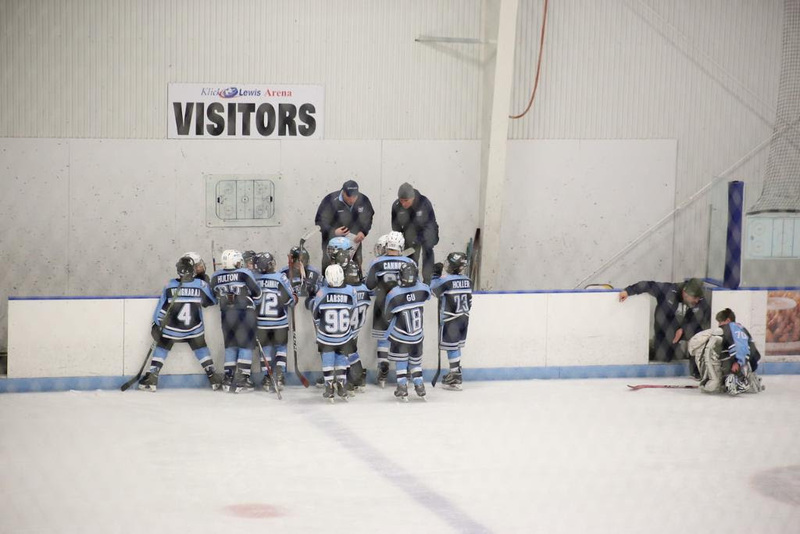 The Pee Wee UA team traveled north to play in the Rochester, NY Presidential Power Play Tournament. 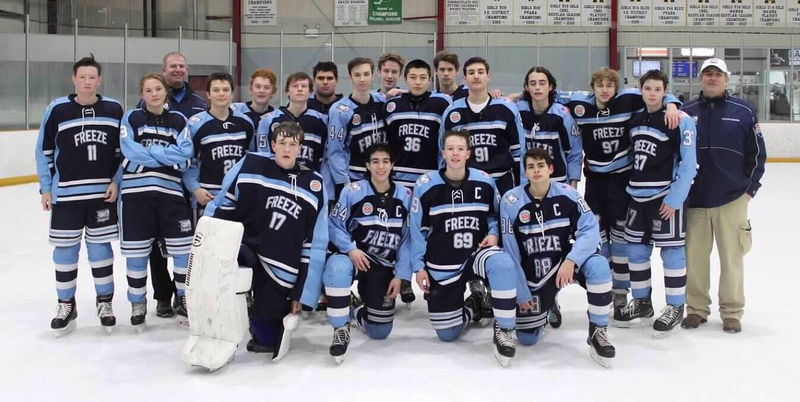 The Freeze were very competitive throughout, losing to the eventual champions, Utica Jr. Comets, 3-2 on Saturday. 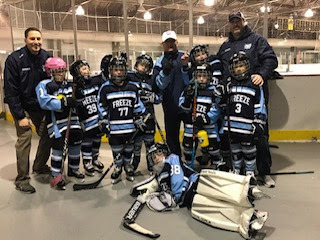 On Sunday, the Freeze dropped the early morning game to the Lockport Lockmonsters (the runner-up), 5-1, but bounced back in the afternoon, scoring with 20 seconds to play to tie the Buffalo Regals, 3-3. 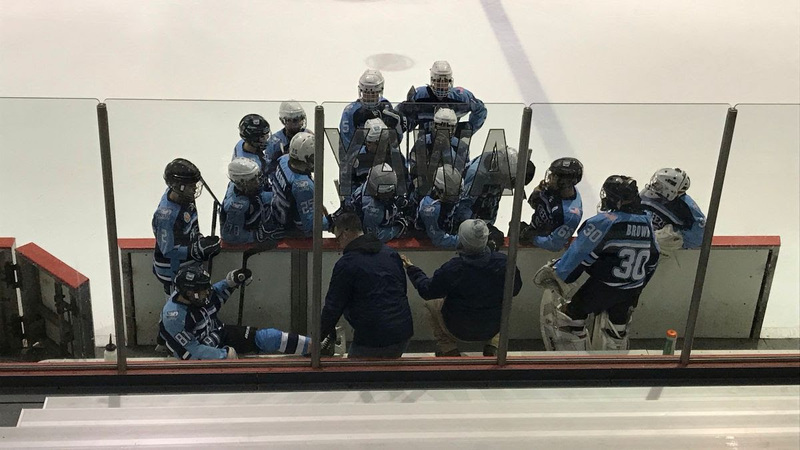 The Freeze finished strong, demolishing the Lehigh Valley Jr. Phantoms, 7-2, on Monday morning. 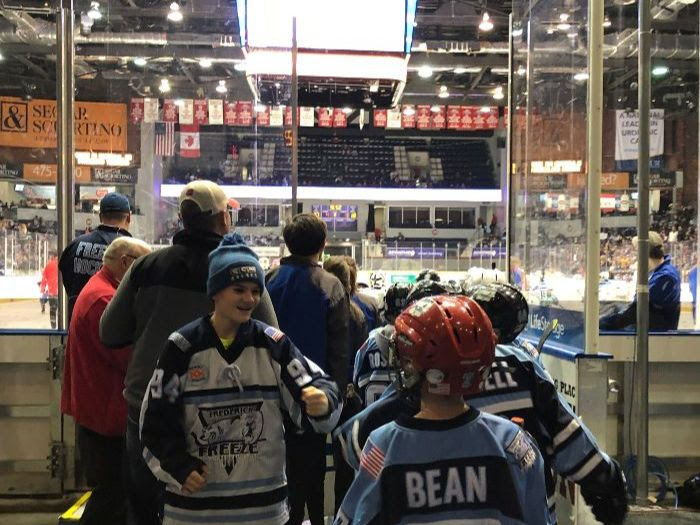 While in Rochester, the PW UA team joined the Squirt LA and B teams at the Rochester Americans game. They also served as "Bench Buddies" on the Amerks bench during pre-game warm-up. It was a fun afternoon for all! 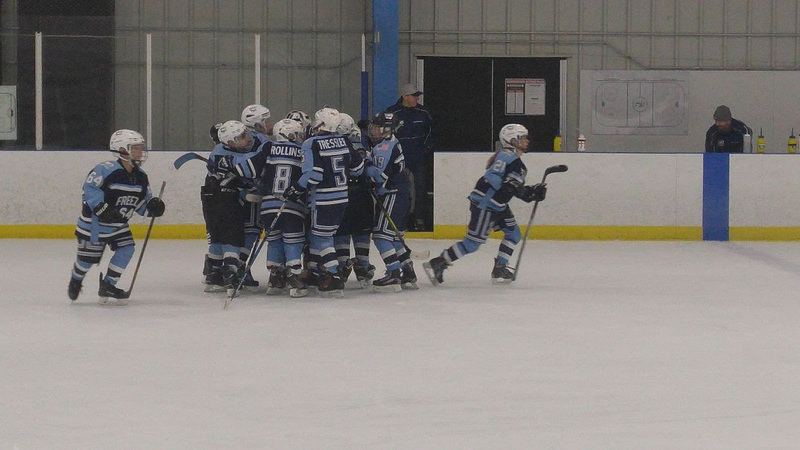 The Pee Wee B team headed to Hershey, PA over the weekend for the Travel Champs President's Day Tournament. The team lost the first two closely matched games, each by only one goal. They ended the tournament on a positive note, with a win over the Hatfield Ice Hawks. 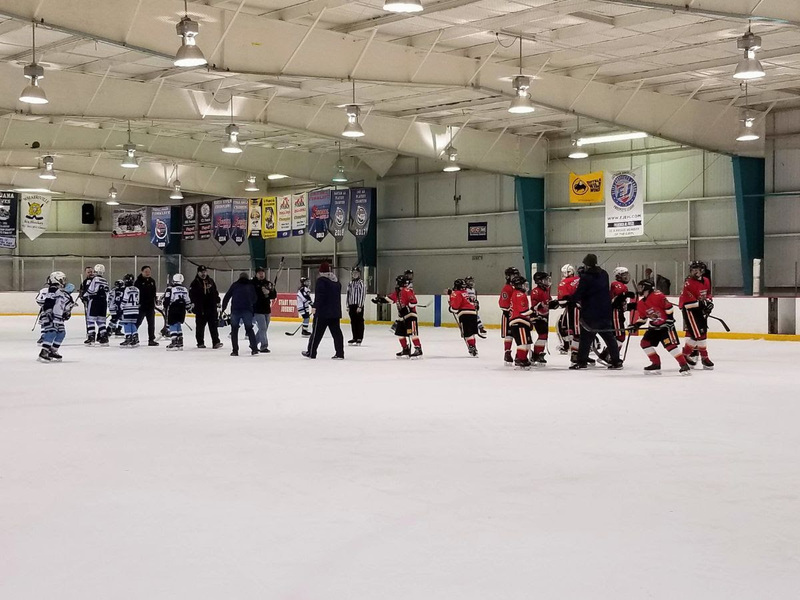 In honor of Hockey Week, it should be noted that the Hatfield Ice Hawks displayed the best sportsmanship like conduct our team has seen all season. 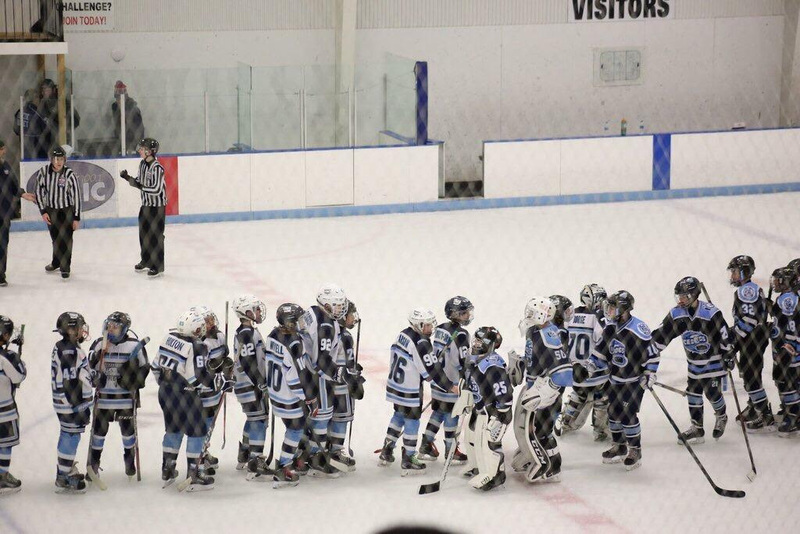 They approached our team before the game, giving fist bumps for all of our players and well wishes for a good game. Many thanks to Hatfield for being such great sports and uniting hockey families, as it should be. 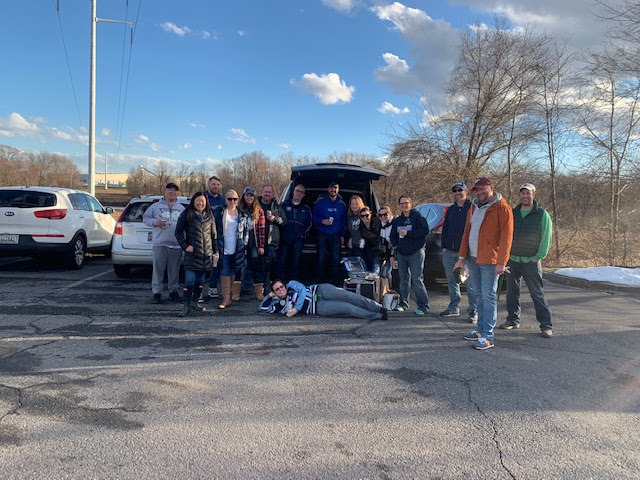 The team and families enjoyed team bonding over food, fun times at the hotel and a team outing to watch the Hershey Bears in action. 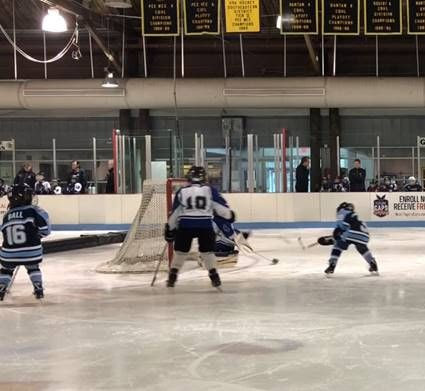 The Squirt B team played in the Presidential Powerplay in Rochester, NY this weekend. 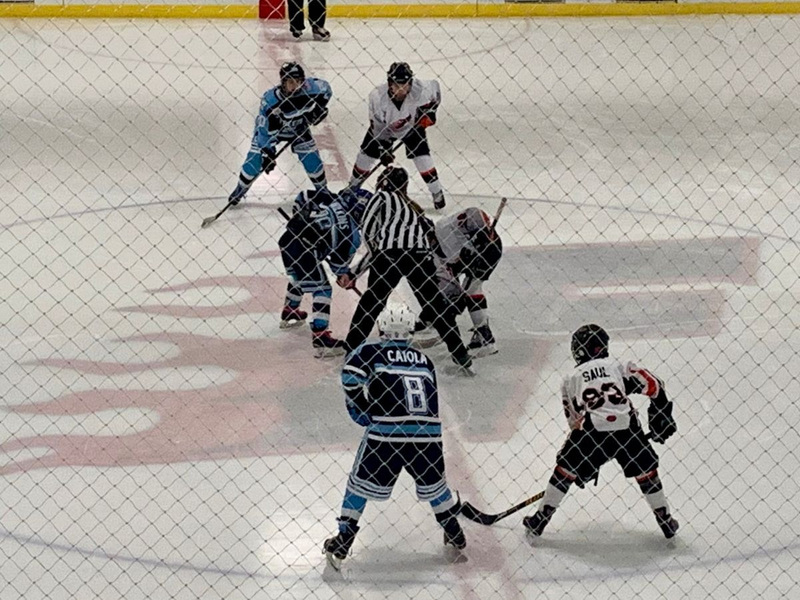 The boys defeated the Burlington Jr. Cougars from Ontario and the Lehigh Valley Phantoms from PA in the first and second rounds. Vincent Shrader was blocking almost everything that got near the net! Teddy O’Brien had multiple goals in the first game and Jackson Powell kept shooting at the net and helped the team to the victories! In the third round, the boys fell to a very tough West Seneca, NY team. They made it to the semi-finals. Finally, on a very early, snowy morning the Squirt B team went to play the Monroe County Eagles. They held their own and kept the game scoreless for the first period, but they lost to the Eagles. All the Freeze teams went to a Rochester Americans, AHL, game. All the Squirts went out on the ice to do a shoot out during the second intermission. Thanks to Eric Metzler, from the Squirt A team, for letting all the boys shoot on him. In the end, the boys had fun, bonded, and learned to play their hardest! The Mite UA team delivered the product that their fans had been eagerly awaiting. 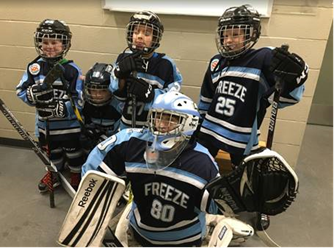 In Hershey, PA the Freeze went 4-1, capturing the title, becoming the President’s Day Mite A Tournament Champions. 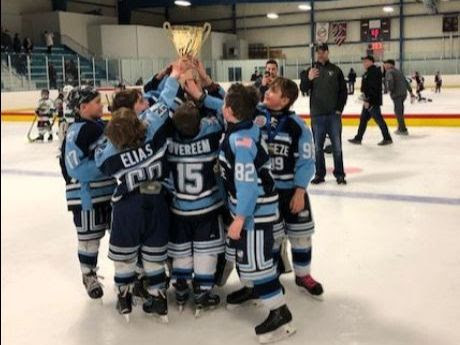 After playing in a consolation game in October, and being tournament finalists in January, the team was determined to bring home the gold in their final tournament as Mites. The team started strong, winning the first game of round robin play, defeating the Jersey Colts, 7-6. The Freeze then lost game two, 8-6 against the Long Island Arrows. Tears of compete and passion were shed after the game. 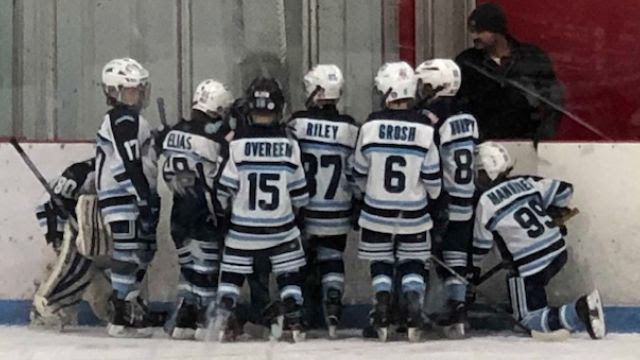 Those tears only fueled the fire as the Freeze stormed back to defeat the Hershey Jr. Bears 7-6 to advance to the semi-finals. 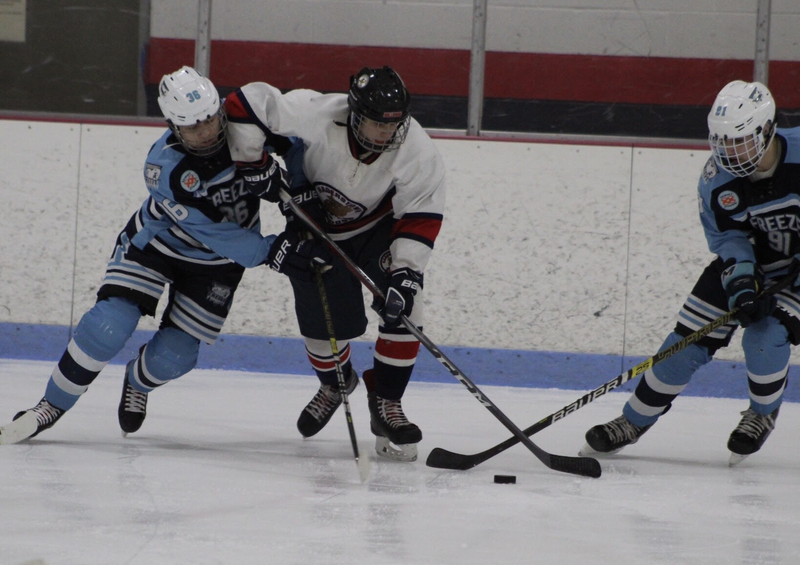 In semi-final action, the Freeze steamrolled the Jersey Colts, 9-3 to advance to the championship. 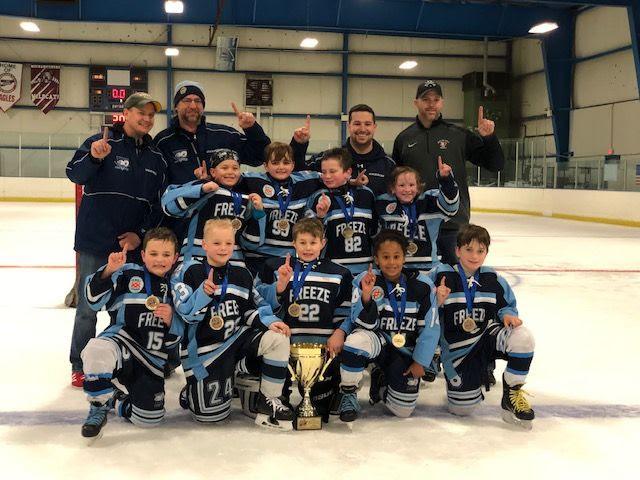 In the finals, the Freeze raised the cup, defeating the Long Island Arrows 5-2. 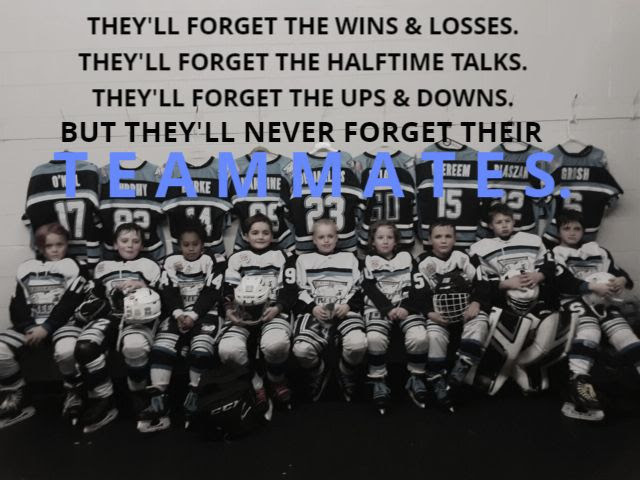 What a way for our 2010's to finish their mite careers! The players were all hungry, competed as a team, and played for each other. 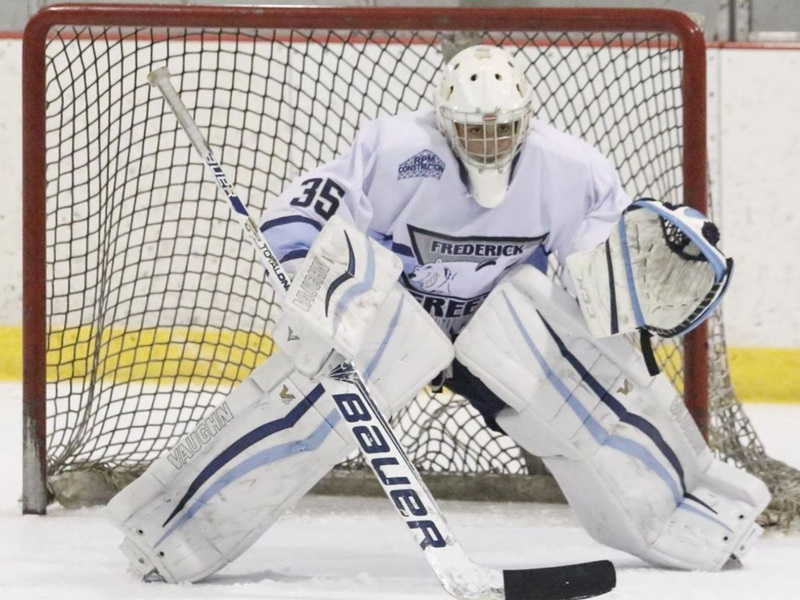 Tournament MVP, goalie Davis Blaszak (4-1), amassed 144 saves throughout the weekend, and only allowed 5 goals total during the semi-final and championship games. The defense continued to impress as Finn Murphy and Corinne Burke played the games of their lives. Finn’s Old Man Stick Lifts harassed anyone who attempted to hang out in front of our net. Corinne proved that not only does she have amazing timing when closing the gap, but she also has the hands to dangle forecheckers along the boards. Team Captain, Dylan Desjarlais not only motivated the team during the pregame talks, but also powered the offense, tallying 15 goals and a handful of assists. 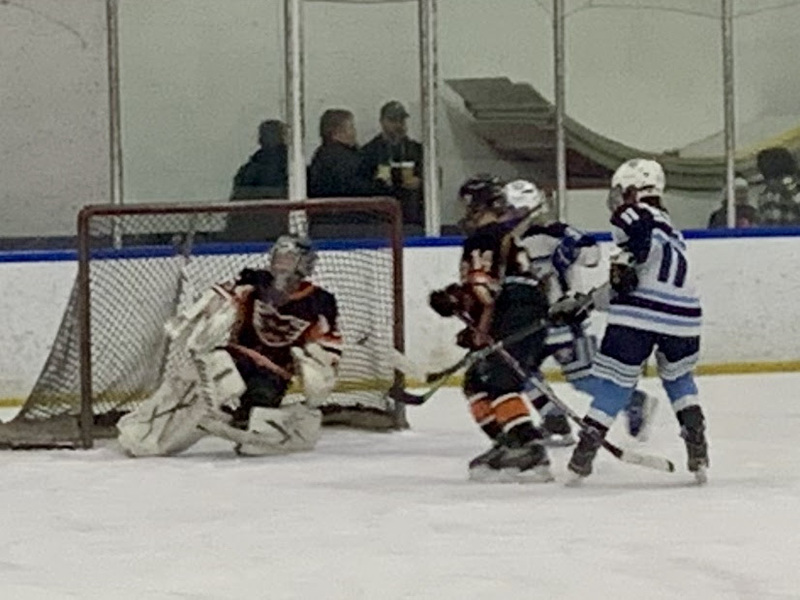 Wing partners, Eli Grosh and Edward Manninen provided great two-way play, potting goals and assists, while aggressively backchecking to protect the net. 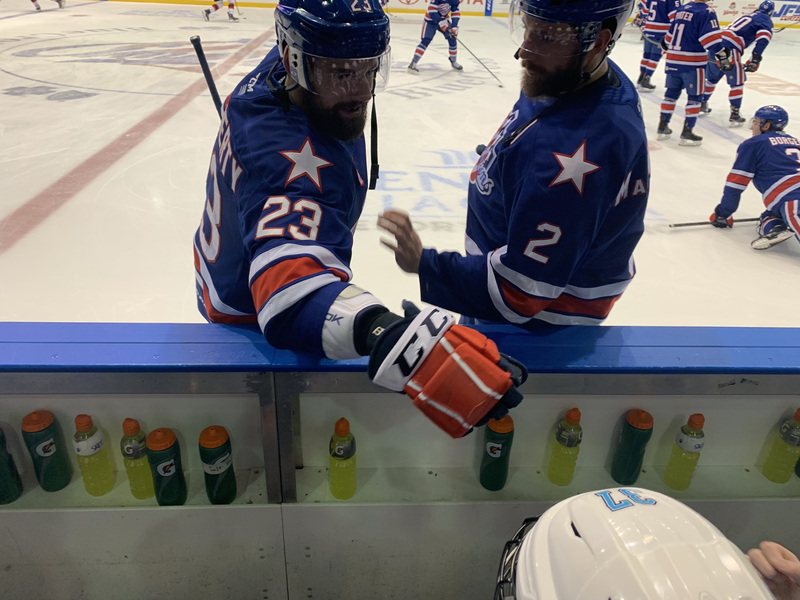 The coaching staff shook up the “Honey Badger” line, as Chase Elias and Charlie Overeem flanked the wings and Braeden O’Neil patrolled the center. The change paid dividends as Charlie, Chase, and Braeden were able to quickly generate offense and provide defensive support. A yard sale of helmets, gloves, and sticks covered the ice as the final buzzer sounded, and the team became champions! 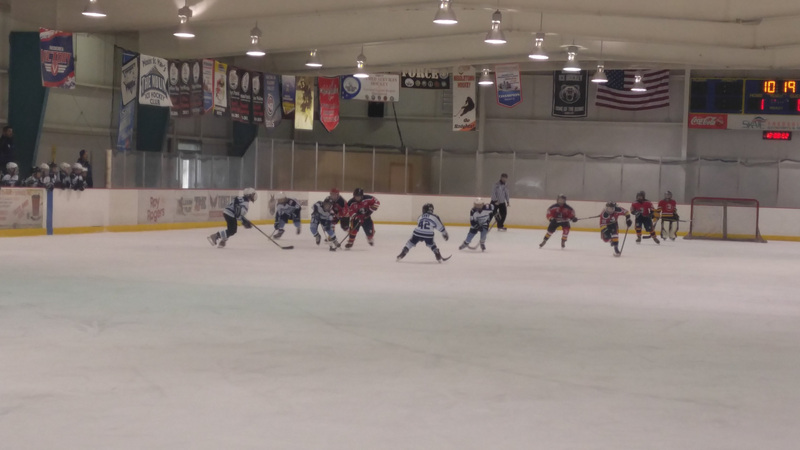 Sunday, the Mite LA team played the Howard County Raiders at Skate Frederick. Each team played hard, but Howard came out on top. Congrats to the U16 team! They are headed to the playoffs in Richmond!!! They tied the Hagerstown Bulldogs 2-2, which was enough to earn them the point they needed. The team also tied Montgomery on Sunday 2-2 to move into 3rd place going into playoffs. 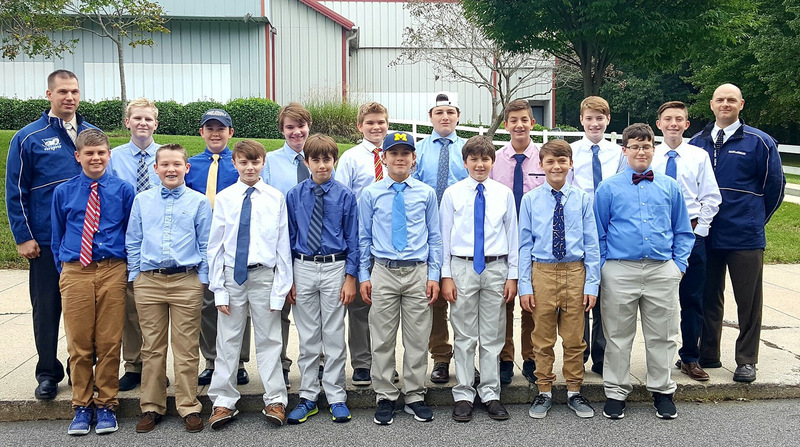 Bantam UA had a weekend off but are headed to Pittsburgh, PA this weekend to compete in the Pittsburgh Presidents Cup. 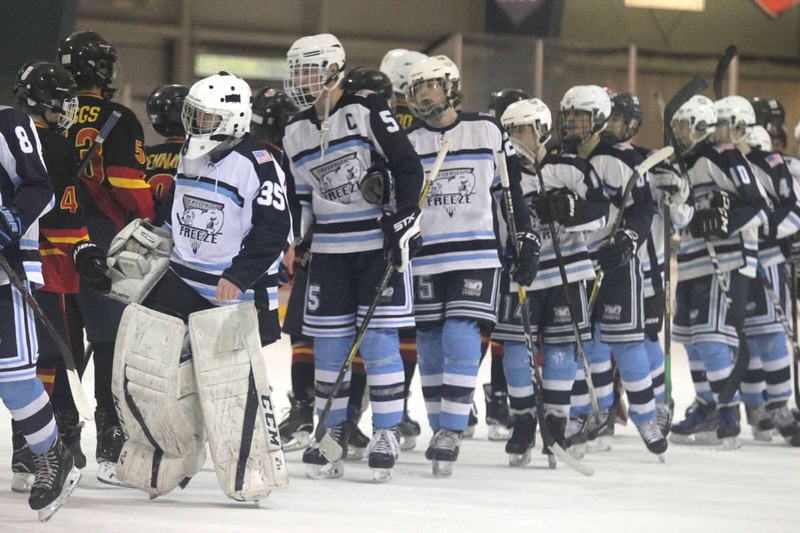 Bantam B fought hard and beat rival Montgomery Saturday 2-1. See our picture below of the handsome group. Get out the brooms! 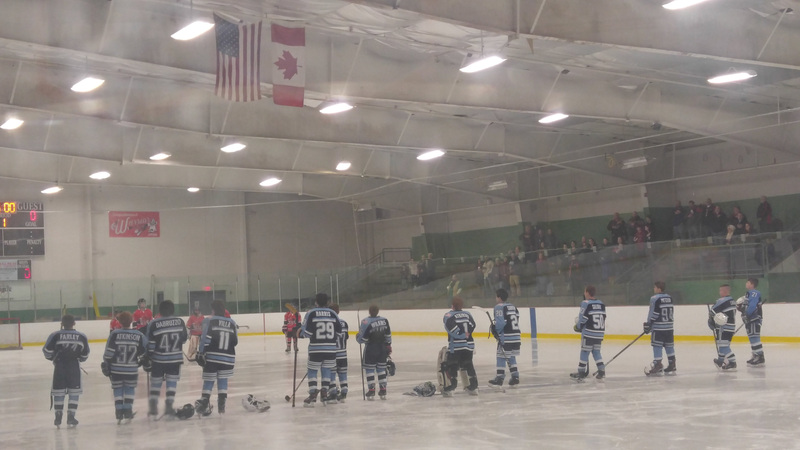 On Saturday, the Freeze beat the York Devils, 6-1, at the York Ice Arena. 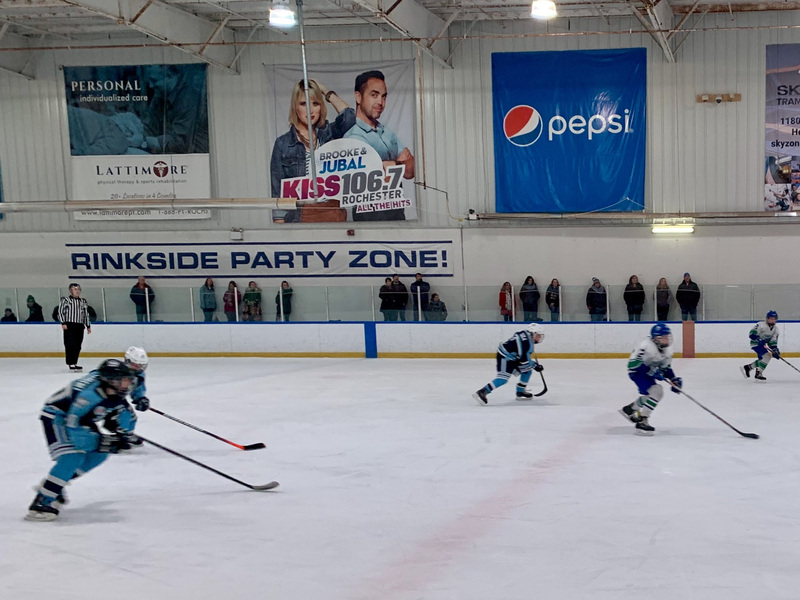 Returning home on Sunday, the Freeze defeated the playoff-bound Bowie Bruins, 5-4. 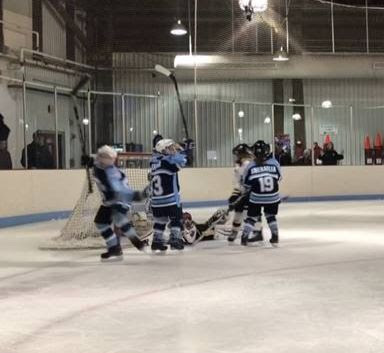 PeeWee B played Southern Maryland and pulled off a win with a score of 3-2. 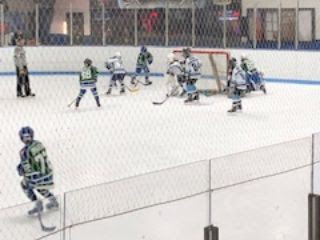 Squirt LA played Montgomery Saturday and tied 4-4. 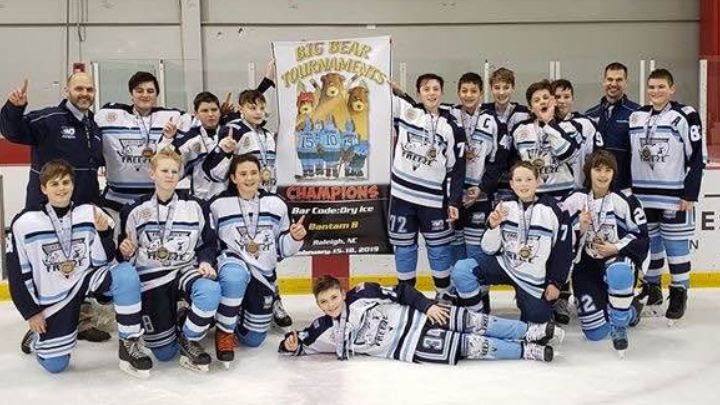 They played Easton on Sunday and won 6-1 ending their season undefeated. Way to go team!! The boys had a fun scrimmage on Saturday! Parents and siblings joined in and showed off their moves too. 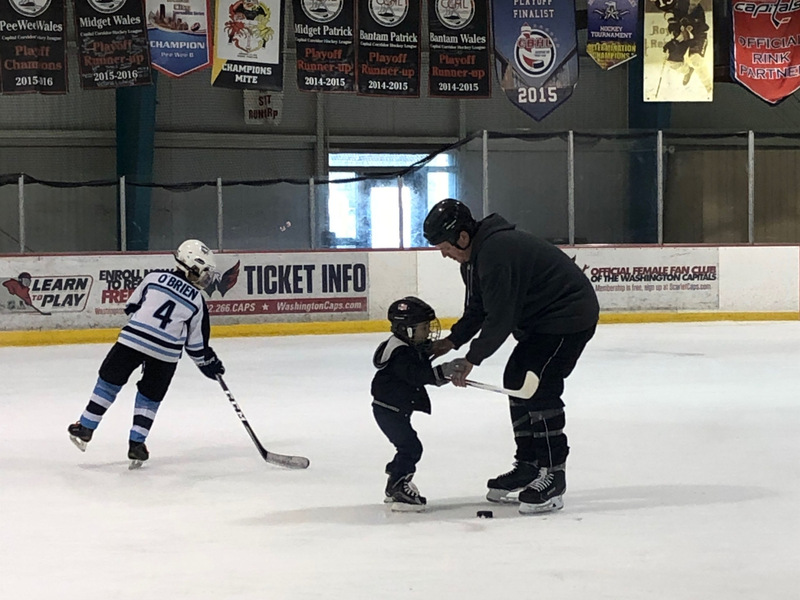 Coach Klauka and the boys were eager to assist and help teach our future Freeze player, Owen Klauka! 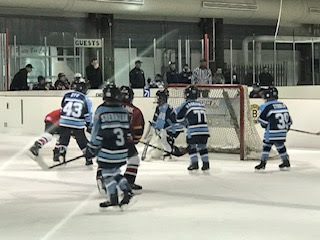 On Sunday, the boys played against Montgomery. After a scoreless first period, Montgomery pulled out a 5-0 win. 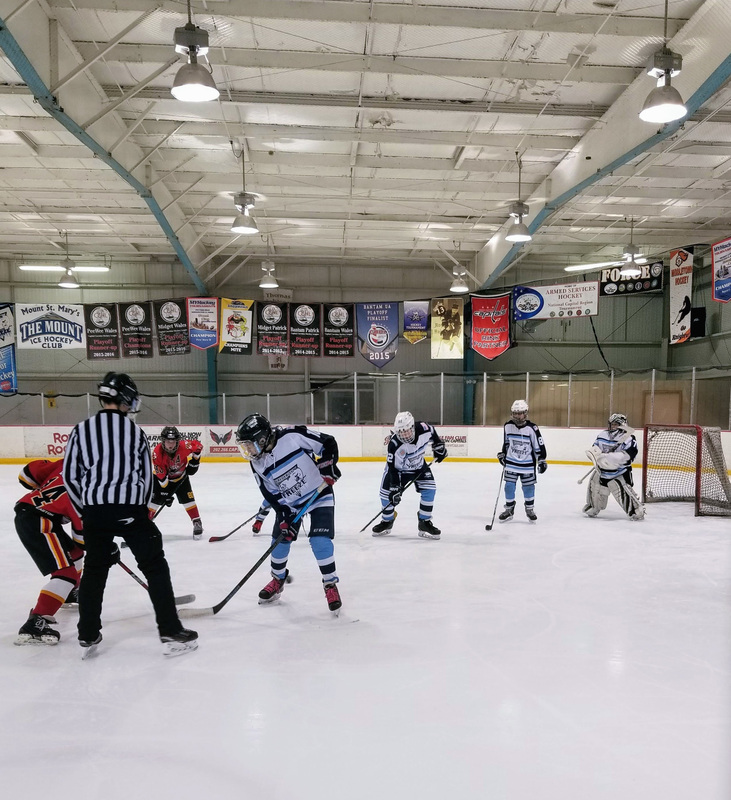 On Saturday, the Mite UA team competed with a few players from the Mite LA team playing two non-league games against Harford. Charlie Overeem led the offense by putting in 5 goals, securing him a hat trick in the second game. Reagan Riley provided some much needed speed and Finn Murphy played solid defense, while tallying a goal in the first game. The Freeze finished the morning 1-1-0. Our Mites LA The LA Mites traveled to Hershey to participate in the Hershey Bears “Youth on Ice” program. The players were thrilled to watch the Bears and get to play on same ice as the pros! We even shared an elevator ride with a Hershey Bear player Colby Williams on our way back to our seats. 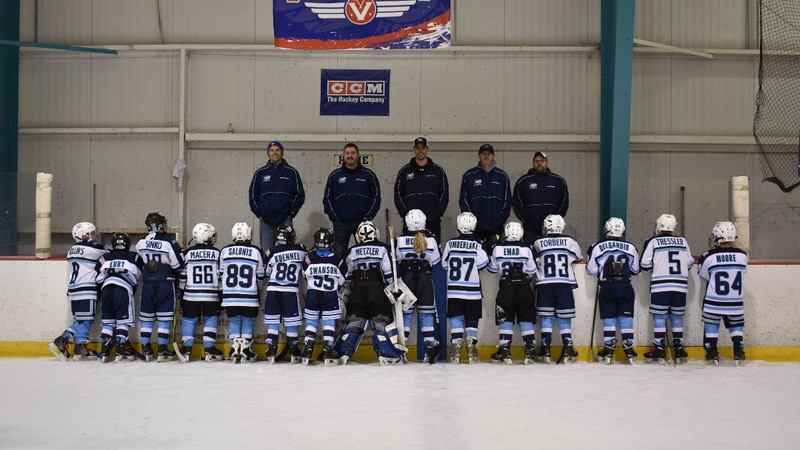 The Mite B team participated in the last jamboree of the season which was hosted at Bowie. They had a strong finish with a 3-1 record. 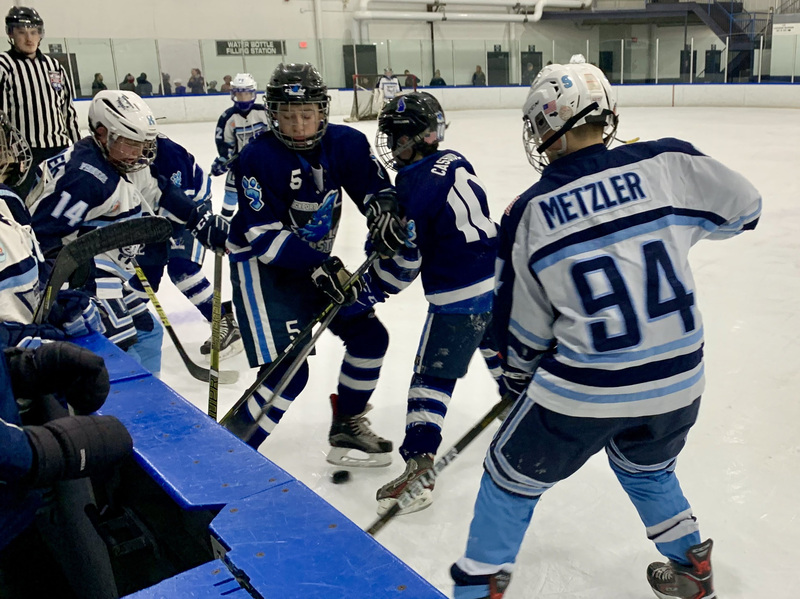 Dominic Studlo, Nicholas Chung, Johnny Smeraglia and Owen Haddaway provided multiple scoring opportunity through great passing and team communication. Sophia Duan, Leo Grolton and Micheal Dye played strong defense with focusing on keeping the puck out of our zone. 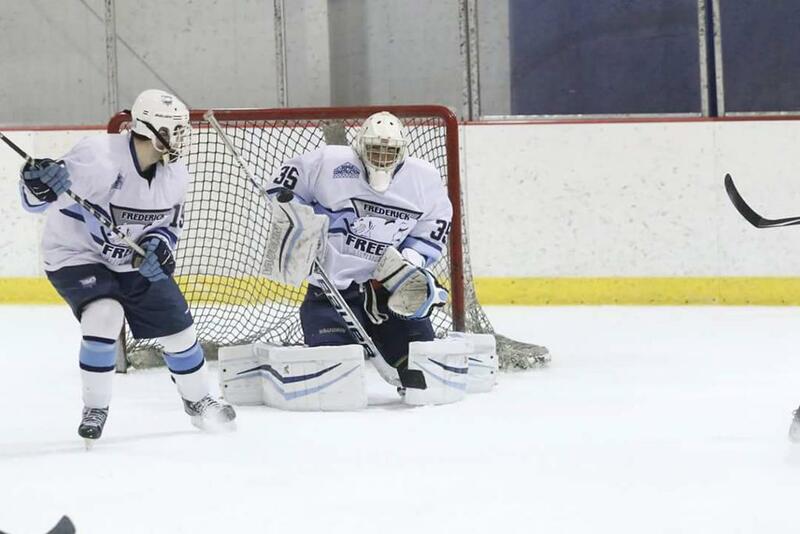 Brooks Haddaway played in the net for the first time in a jamboree. 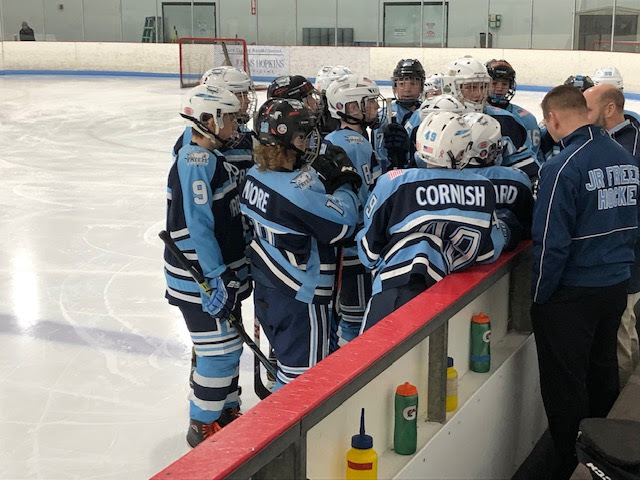 The players skills have continued to develop throughout the season and we are proud of their hard work and dedication to the team and hockey. Many of our teams are headed out of town for tournaments this weekend. We wish all of our teams the very best and safe travels. Please feel free to post, share, or tag our social media sites so we can see everyones updates as we are playing games!